Many people are looking for ways to cut costs, skrimp, save, hold the purse strings a little tighter, tighten the belt a few notches, reign in the budget, pinch the pennies, etc. The ways to save money are as varied as the euphemisms for doing so. Sometimes the ways to save are surprising. Little things that are less obvious and often taken for granted on a daily basis can make a big difference. A penny here and a penny there make a larger impact than we give credit for. 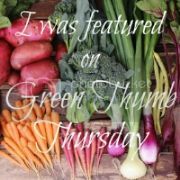 The following post is recycled from September 2008 off my personal blog - Greeen Sheeep. It serves as an example of how tiny choices can turn pocket change into hundreds of dollars in your bank account. In Friday's post, Down to my skivvies, I eluded to stripping in regards to my recent shedding of clothing. Today I would like to talk more seriously about stripping. From what I hear it is a good way to make money. Particularly lucrative is the power strip. What did you think I meant? Pervert. We have six power strips in our house. Basically everything that does not require a constant power supply (i.e. refrigerator & freezer) is either unplugged or plugged into a power strip. Now, electronics are not just plugged into these because we have so many they will not all fit in the outlet. No, their purpose is that everything can be turned off, really off, with the flip of a switch. "Many appliances continue to draw a small amount of power when they are switched off. These "phantom" loads occur in most appliances that use electricity, such as VCRs, televisions, stereos, computers, and kitchen appliances. In the average home, 75% of the electricity used to power home electronics is consumed while the products are turned off. This can be avoided by unplugging the appliance or using a power strip and using the switch on the power strip to cut all power to the appliance." Most of us have heard about phantom loads, vampire power, and wall warts, but what does it actually mean to us? Money. Lots of money. Adding up to more than $3 billion in annual energy costs for the U.S. Through the use of power strips, daylight, line drying, and an overall awareness of energy consumption we have cut our energy use from 1,386 kw in August of 2007 to 693 kw this August. Half! Holy crap! $138 down to $88 and the price of energy has gone up two cents per kwh. It took some time for the family to adjust having to flip on the power strip before the remote for the tv would work. Placing the strips in easy to access areas has helped mute the complaining. I still hear some grumbling from Hubby, but a quip "half" usually silences him, too. We moved into this house in May of 2007. Comparing last year's electric bills to corresponding months this year, our energy consumption for 2007 May through August was 4,696 kw - May through August 2008 was 3,072 kw. Over four months we reduced our energy consumption by 1,624 kw and saved $104.11! Indeed, stripping is a good way to make money. Our energy consumption for September 2008 through January 2009 was 4,522 kw. Consumption for the same time period of September 2007 through January 2008 was 5,522 kw. We managed to shave off another 1,000 kw! For an additional savings of $54.94. Our total energy savings since May of 2007 has been 2,624 kilowatts equalling $159.05. We have reduced our energy consumption every month and continue to improve. Great post, thanks. This has been a passion for me and my husband for about 1 year now. We wait anxiously for our electricity bill every month to see how we've done and chart everything in excel with graphs and all like the geeks we are. We have been able to cut our electrical usage in half and have saved approximately $1200 in under a year. That's really money. Mos of the savings comes from less us off Heat and AC, but clearly it comes from the lights, the cable box, the chargers, etc. With our savings we're still not satisfied. We know the biggest change we have to make now is finding the leaks in our house and improving the insulation! We implemented this change about a year ago and it's had a tremendous impact on our electricity bill. Now I need to get in the habit of turning the one in kiddo's room off when no one's in there -- now that he falls asleep listening to an audio book rather than watching tv, the power strip his tv is plugged into can be left off most of the time. 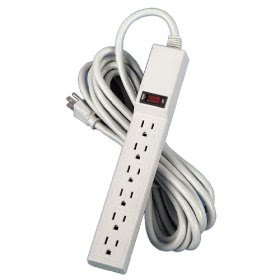 Utilizing the power strips has made us very aware of just how seldom certain things are used. Kiddo's PC, for example, may not get turned on for days. When hubby's traveling, the power strip in our room may not be turned on at all while he's gone, which can be for 3 or 4 or 5 days in a row (I don't usually watch tv in the bedroom.). By the way, your post title and the lead into the post are hilarious! I started tracking my food expenses and am astonished by how much I am saving. I started in part because I had to ante up the $500 to buy into my local organic farm share at the end of January. I've saved over $500 from late January to present time by planning veggie-based menus and shopping discount groceries. I really was surprised that we could save so much and eat so well and I attribute most of the savings to menu planning and avoiding impulse buying. Now that I've (more than) paid off the CSA share I will go back to buying locally grown (first) and organic (second) and hopefully both when it is available. P.S. - How/when do you turn off your refrigerator? This is so easy, I can't imagine why we haven't done it... This is one I can surely tackle. We do it with the computer, but not the TV, why not? It makes so much sense!! Thanks! We have a couple of power strips, one for TV and one for computer. Almost everything else is unplugged when not used. We can't unplug the clocks though, but I'm hoping they don't use much power. We also need to get better with turning the power strips off. We are much better with turning off the computer one, but not the TV. Now that we are trying to lower all our bills, this tip will definitely come in handy.